Rachel Baiman and Christian Sedelmyer, also known as 10 String Symphony, previewed songs from their upcoming album and played some favorites at January's Lost River Sessions LIVE at the Capitol Arts Center in Bowling Green. Leslie Weiler Meng, lead singer of the Pennyrilers, picked up several instruments and played an hour-long solo set. She also performed two songs on the piano. The latest installment of the Stained Glass Series took place Dec. 5, 2017 at St. Joseph's Catholic Church, featuring organist Ken Stain and members and friends of the Christ Episcopal Church choir. Devon Gilfillian and 8 Track Love were the featured musicians at Lost River Sessions LIVE on Oct. 19 at the Capitol Arts Center in Bowling Green. The show came just days before Gilfillian inked a deal with Capitol Records. 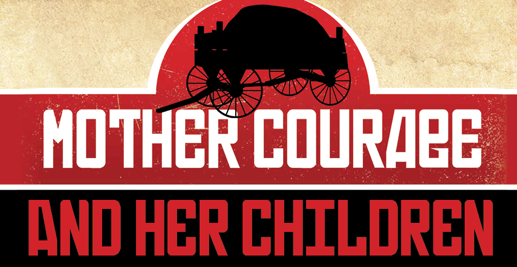 WKU theater faculty member Scott Stroot and junior Jada Jefferson discuss the play Mother Courage by Bertolt Brecht. 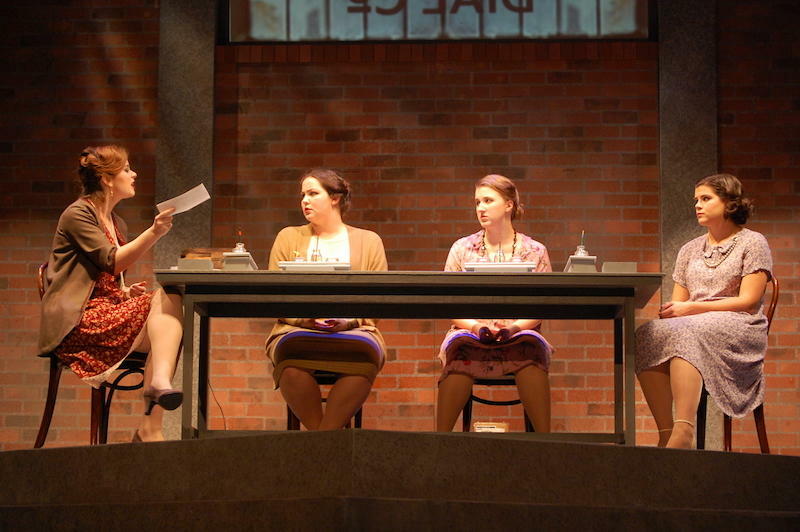 The play runs through Nov. 7 at the Russel H. Miller Theater on the WKU Campus. 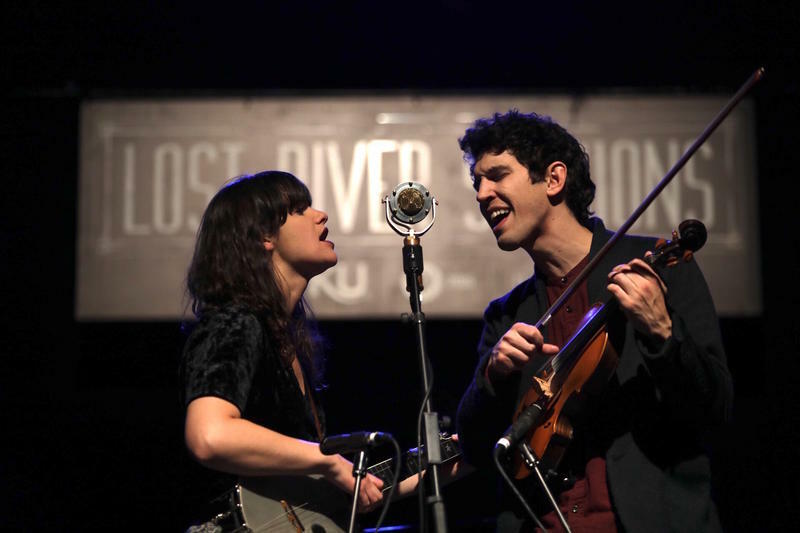 10 String Symphony - the combination of Rachel Baiman and Christian Sedelmyer plays on this edition of Lost River Sessions radio. 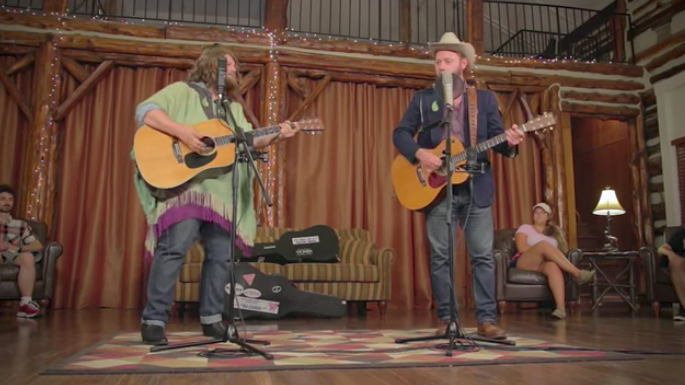 Their performance was captured at Loving Chapel Stables in Franklin, Kentucky. In the second half of our show - the deeply introspective songs of Nashville singer-songwriter Carl Anderson. His set was recorded at Van Meter Hall on the campus of Western Kentucky University. 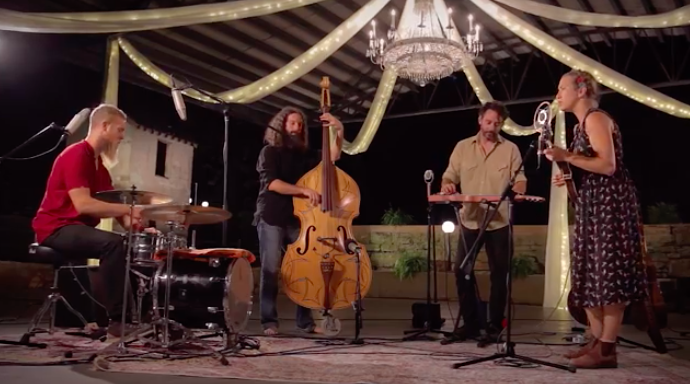 Misty Mountain String Band joined organist Ken Stein for the latest installment of the Stained Glass Series. 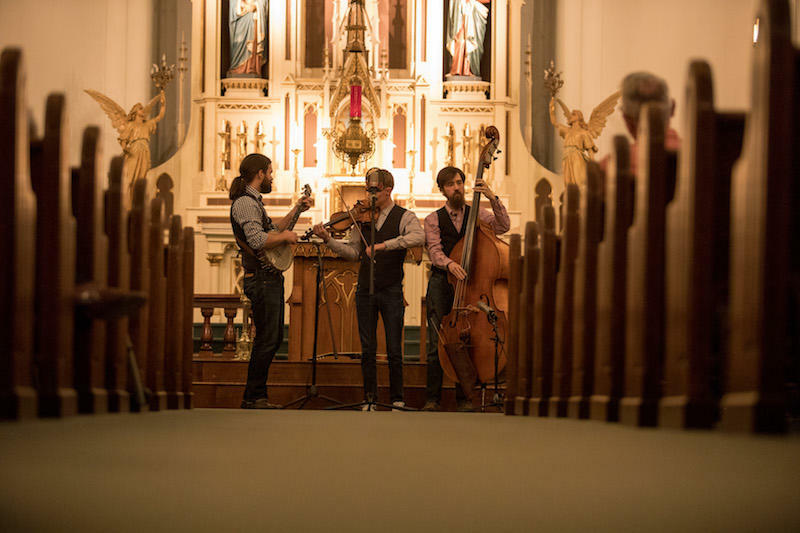 This concert was recorded on Sept. 26 at St. Joseph's Catholic Church. Stein is organist/choir master at Christ Episcopal Church in Bowling Green. 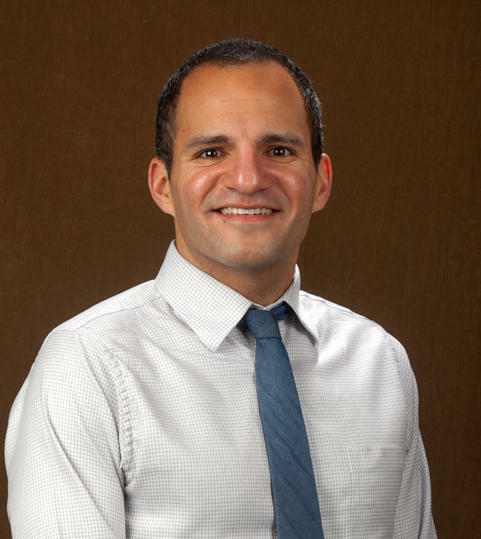 He's also a member of the WKU Department of Music faculty. Misty Mountain String Band, based in Louisville, is composed of Neal Green on fiddle, Derek Harris on bass, Paul Martin on banjo and mandolin and Brian Vickers on guitar. Sound the Trumpets is a special concert featuring Southern Kentucky Brass and organist Ken Stein. 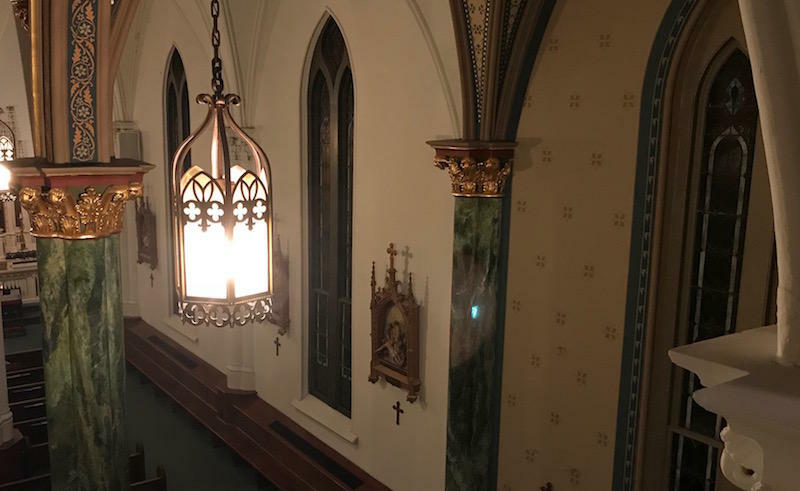 It was recorded in June 2017 at St. Joseph’s Catholic Church in Bowling Green as part of the Stained Glass Music Series. The emcee for this concert was Barbara Deeb from WKU Public Radio. 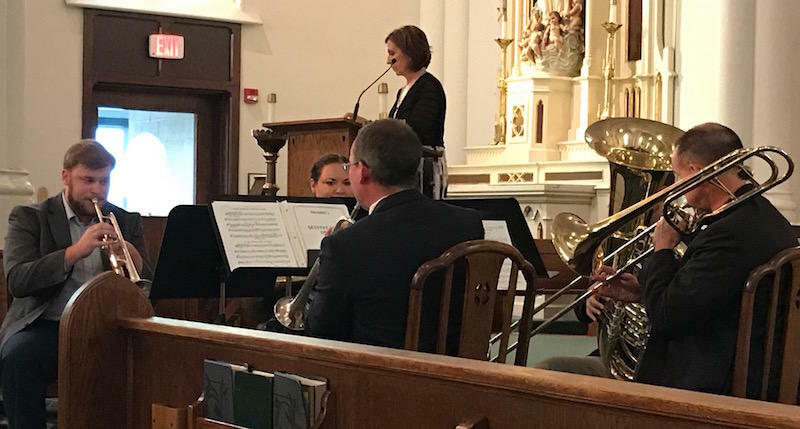 The Stained Glass Music Series is made possible thanks to St. Joseph’s Catholic Church and its parishioners. Support also comes from Lynn and Dennis O’Keefe, and the listeners of WKU Public Radio. Our sound engineers for this recording were Don Eastman and Sam Holiday. The “Radium Girls” were a group of young women who, nearly a century ago, unknowingly put their lives at risk working in factories where they painted watch faces with radium. Now, a production by the Department of Theater and Dance at WKU, explores their story and how they sought justice in a play called “These Shining Lives”. 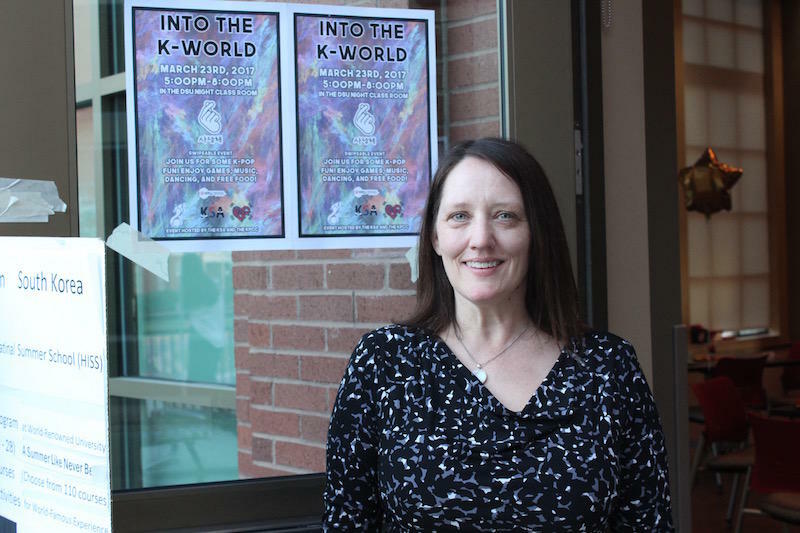 “This actually took place in a few different places; there were a few different companies, this is the story of the women in Ottawa, Illinois who were able to successfully sue the company and help change laws in terms of worker protection,” said Dr. Michelle Dvoskin, assistant professor for WKU's department of theater and dance. Singer-songwriter Dana Sipos and her band performed for Lost River Sessions at Lost River Cave in Bowling Green. Sipos, along with bandmates Ben Hermann and Ben Cook took turns on lead vocals during the set. They were also joined by Brody Wellman. In the second half of our show, we feature Mark Whitley, a musician and woodworker from Smiths Grove, Kentucky. His solo set was recorded at the Brickyard Cafe in Franklin. The second annual Kentucky Acoustic Music Festival was held May 20th at The Capitol Arts Center in Bowling Green. It was presented by Lost River Sessions. The evening featured local favorite Mt. Victor Revue, Jenni Lyn and Lillie Mae. 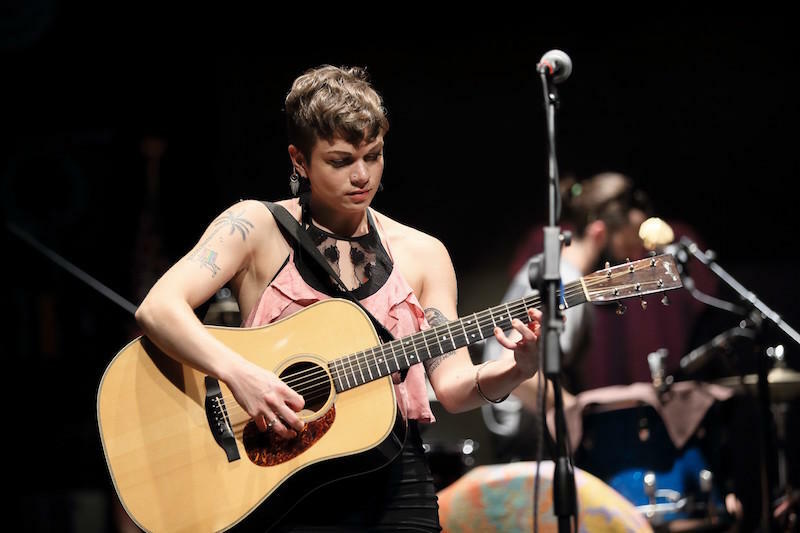 Americana band 8 Track Love and singer-songwriter Lauren Cunningham are this month's featured performers on Lost River Sessions from WKU Public Radio. 8 Track Love is made up of Mike Natcher, Zach Lindsay, Steven Page and David Page. Their Lost River Session was recorded at the Faculty House at WKU. This week on Lost River Sessions Radio, we hear a performance from Great Peacock at the Faculty House at WKU. Great Peacock consists of Andrew Nelson and Blount Floyd. In the second half of the show, we listen back to a performance from Season 1 of the show -- Will Kimbrough at the Brickyard Cafe in Franklin. 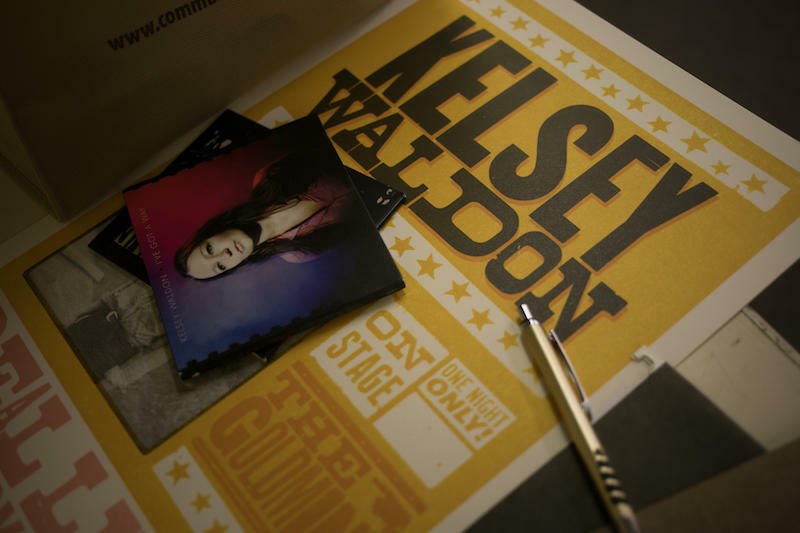 Americana artist Kelsey Waldon and Franklin's own Dead Broke Barons were the featured artists on April 20th for Lost River Sessions LIVE! at the Capitol Arts Center in downtown Bowling Green. 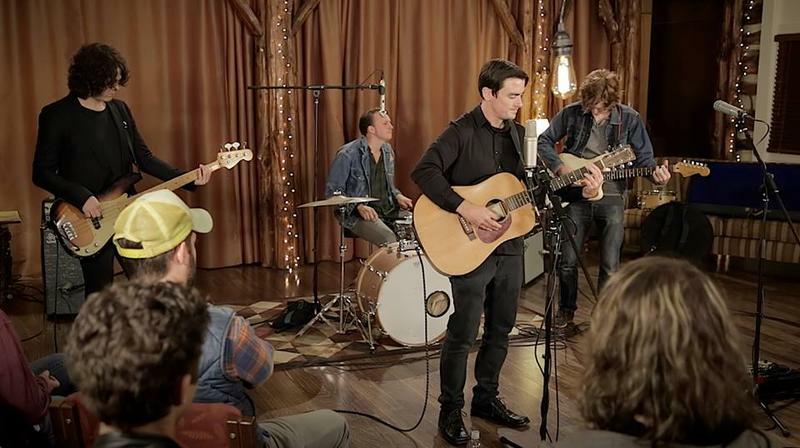 Both bands have appeared on the TV version of Lost River Sessions, but the live concert gave the audience a chance to see these bands in person. Sherri Ter Molen got her first exposure to South Korea at an early age. “In the 1970s my aunt and uncle, they adopted a daughter from South Korea and I remember the very first day that they brought her to my house. I was only three years old at the time, but it made such an impression on me that I still remember,” she said. 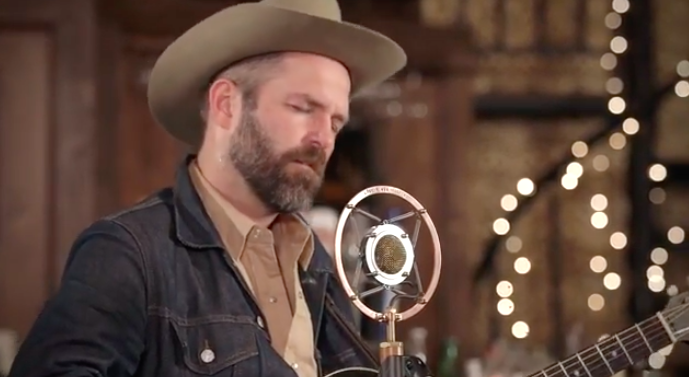 This month's Lost River Sessions radio show features Jeffrey Foucault and The Other Years. Foucault performed his set at the Derby Piano Bar in Bowling Green along with Billy Conway and Eric Heywood. In the second half of the show, Heather Summers and Anna Louise, The Other Years, play at South Union Shaker Village. 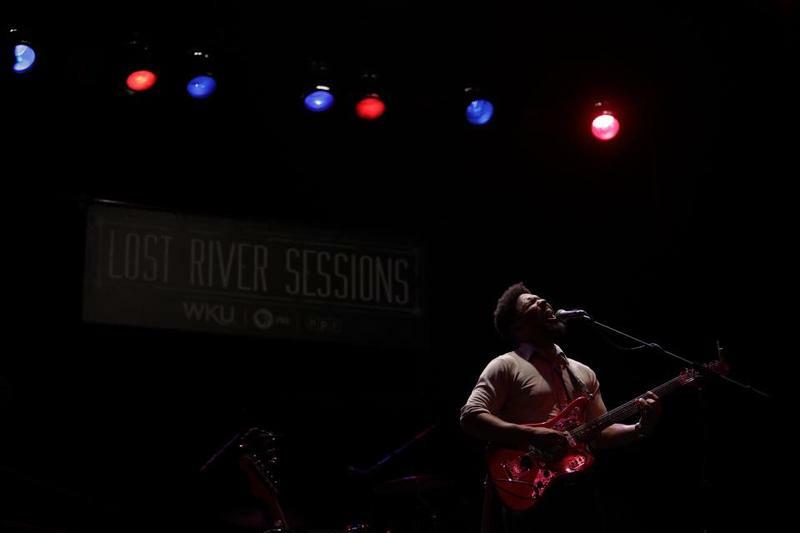 This episode of Lost River Sessions is airing during the WKU Public Radio spring pledge drive, so you'll hear a conversation with LRS producer Darius Barati about the origins of the show.